A healthy and happy New Year to everyone! Connie Tang, an undergraduate student in chemistry at the University of Toronto, will be joining the group during the summer of 2015 as a RISE Scholar. Through a highly competitive process, Connie was chosen as one of twelve RISE Scholars to participate in the research exchange program. Weiying He from Sichuan University will be joiing the group this coming summer as part of the MITACS Globalink program, Weiying will be working on probing the electronic structure of metal dioxygen complexes using computational tools to understand the nature of bonding in these systems. Happy Holidays to all past and present members of the Kennepohl Group. Most importantly, may the New Year bring you good health, happiness, and success in all of your endeavours! 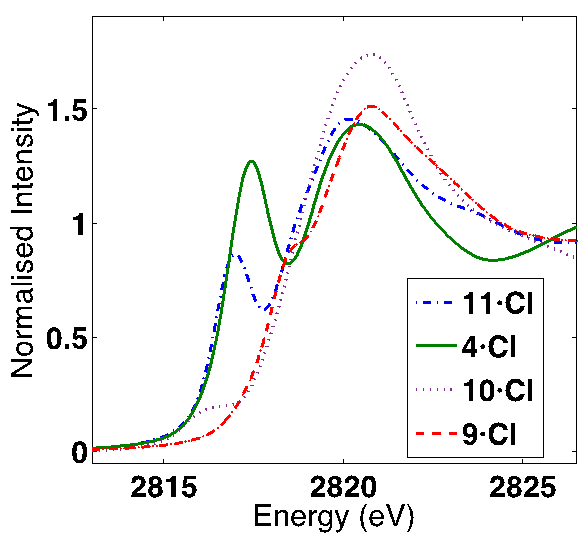 Chantal's work on the covalency of halogen bonds has just been published by the Journal of the American Chemical Society.